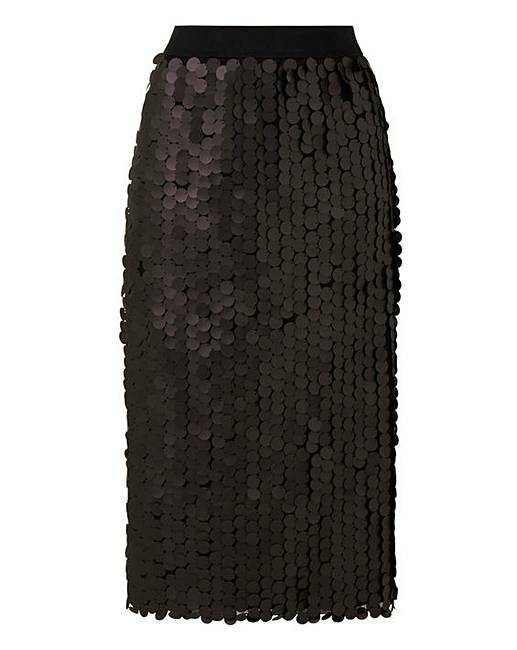 Black Disc Sequin Pencil Skirt is rated 2.3 out of 5 by 3. 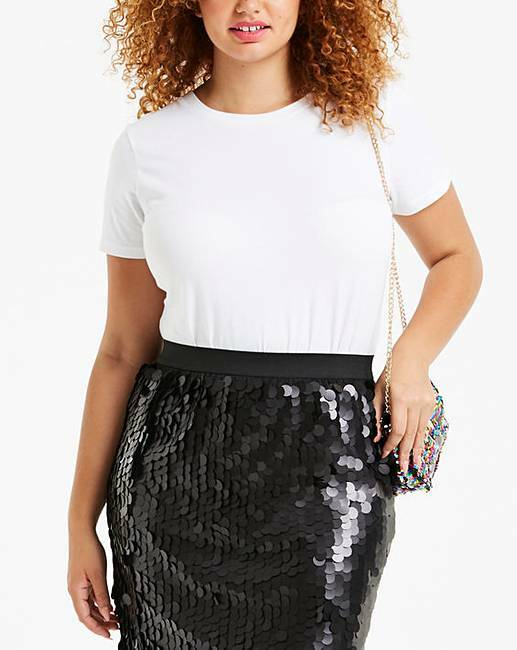 Disc sequin detail pencil skirt with fully elasticated waistband. Easy to wear pull-on style. Get yourself ready for the Christmas and New Year partytime! Rated 1 out of 5 by Sabrina from Poor quality I brought this for Christmas and wore it for less than 3 hours and about 45 of the disks fell off and I was only sitting having dinner, limited movements and was very disappointed as was out for dinner and everyone was commenting on finding the disks where I walked and was sitting. 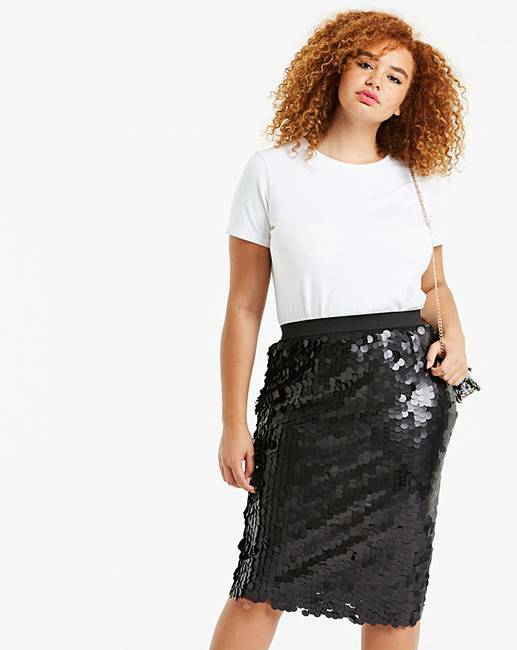 Would not recommend this skirt. Rated 5 out of 5 by Joanna from Great party wear I ordered this for a works christmas party, I thought thte quality was wonderful, it looked really exspensive. However it was to big for me , so sadly i had to return it, but would reorder. Rated 1 out of 5 by Jenlucyr from Poor quality and poorly made I bought this for a Christmas night out and the discs fell off in huge quantities. Not worth a fraction of the cost, so disappointing. The style was nice, but really poor quality.